Posted by Sam Smith on Wednesday, February 22nd, 2012 at 11:08am. Buying homes under $600,000 in Newport Beach, California can often times be a challenge as Newport Beach is known as the most expensive real estate market in the country. Luxury condos in the Newport Beach area is typically what you will find under $600,000 and we recommend the following two condo buildings that will have condos for sale in this price range. Newport Crest is a great development in the Newport Beach area that is located just a couple streets away from the Hoag Hospital. 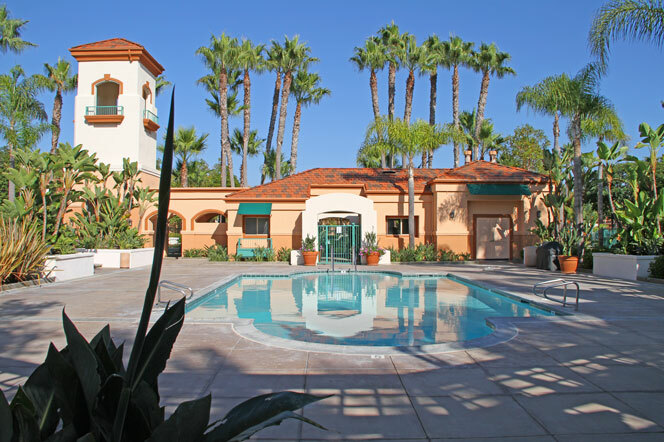 Newport Crest offers a quiet community living with a community pool and tennis facilities. The beach is also really close from this location and some condos will offer great views of the Pacific Ocean! At the height of the market these condos were selling well above the million dollar mark and as the economy improves we expect to see home prices go up again at the Newport Crest. You will find a variety of sizes with two, three and four bedroom models. Talk to any our Newport Beach Real Estate agents for more details on this great community. You will also find condos located in the Villa Balboa area. Villa Point is located near the heart of Newport Beach and just minutes to Fashion Island and Balboa Island. Here you will find condos under $600,000 with a prime location and community pool and clubhouse area. The condos located on the back row will have great views of the Newport Beach Country Club golf course. The condos were built in 1991 so expect newer amenities and condo upgrades. For more information on the Villa Point condos in Newport Beach please give us a call today. We know the Newport Beach Real Estate market and look forward to assisting you!